Volvo S60 Performance, Engine, Ride, Handling | What Car? The Volvo S60 is offered with a choice of petrol and diesel engines. The sole petrol option is the 150bhp T3, which is willing, quiet and delivers decent performance, although its CO2 emissions are quite high. Almost all of the diesel options are four-cylinder 2.0-litre units – the exception is the four-wheel-drive version of the D4, which gets a 2.4-litre five-cylinder engine. The entry-level D2 produces 118bhp, the mid-spec D3 148bhp and the flagship D4 188bhp. The D2 feels a bit slow in the S60, so we’d recommend opting for at least the D3. This isn’t VED-exempt like the D2, but the small hike in costs is worth it for its added performance. The four-cylinder D4, however, is a great choice. It is powerful, refined and efficient, and a fine alternative to the higher-powered 2.0-litre diesels in rival saloons. The 2.4-litre D4 isn’t as quick as the 2.0 D4, partly because of the extra weight of the four-wheel-drive system it comes with. It’s not as refined, either, so we’d give it a miss. 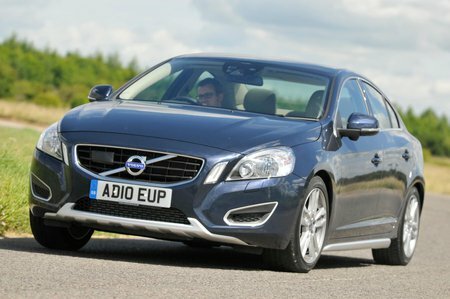 The S60 balances the needs of driver appeal and on-board comfort pretty well. It handles crisply and has plenty of grip, and although the suspension is rather firm, it’s not uncomfortable and it controls body movement well. It’s only on bad roads where things can get a bit choppy, particularly if you specify R-Design trim, which features lower, stiffer suspension. The steering reacts quickly in all versions, which is good on a twisty road but not so welcome on the motorway. If you opt for the Cross Country versions, which are designed to offer a modicum of off-road capability, you’ll be able to opt for four-wheel drive. This is the only version of the S60 offered with it.